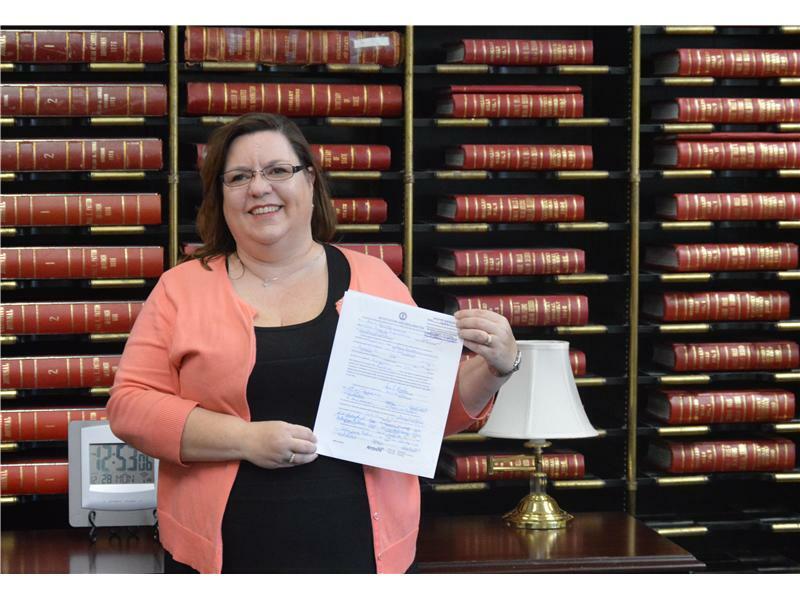 Ami L. Brooks, a Western Kentucky native, formally filed with the Kentucky Secretary of State to run as the Republican candidate for State Representative for District 16, which includes Logan County, Todd County, and a portion of Warren County. "I believe that our District is ready for a more conservative voice." said Brooks. "This election will be about making Kentucky more fiscally responsible and business friendly. As a small business owner who works with the public, I see daily the struggles our citizens must overcome." Brooks is a partner at Brooks and Hendricks, a general law practice with offices in Russellville, Kentucky, and Springfield, Tennessee. She is a licensed attorney in both Kentucky and Tennessee, and much of her legal work is devoted to juvenile and family law. For the past two years,Brooks has urged legislators to reform the state's juvenile code sections relating to dependent, neglected, and abused children by writing and lobbying for her legislation. She has advocated for a better system, which would better serve families and children and eliminate waste. “We can continue to follow the path we have been following, or we can work to make a change for the better. That is why I decided to run for office,” said Brooks. Brooks graduated from Western Kentucky University with a Bachelor’s degree in Public Relations. She also earned a law degree from the Nashville School of Law, attending classes at night while working full time during the day. Brooks is a native of Bowling Green. She and David Brooks, her husband of 21 years, have lived in Logan County since 1997, when he began teaching at Logan County High School and later became a guidance counselor. They have one daughter, Katie, who currently attends Logan County High School. Brooks is also a member of the Russellville Rotary Club and Southern Heights Baptist Church.